Usually on a Monday I post my One Perfect Moment gratitude post, but for the next four weeks I'm going to be posting a quick wrap-up of an online course I've doing, the 4 Week Blogger Bootcamp with Dana from Talk About Creative. With Tafe very quickly coming to an end it's time to really start getting serious about getting my business ready for some serious marketing and client-searching. Part of that includes getting my website polished up and taking it from a free WP blog-style site to a more professional, self-hosted, website. One of the biggest concerns in getting it set-up is ensuring that I do everything I can to make my website SEO-friendly. Let's face it, these days everyone is online and I don't know many people who don't research their purchases online before they make them. It's no different whether you're buying a washing machine or family memories, and I want to make sure that my name is coming up in the mix for people who are looking to invest in their photographic memories. So when the opportunity to participate in the 4 week blogger bootcamp came up I jumped at the chance. Dana has kindly offered to get us up to scratch on the hows & whats of Google Analytics and SEO for free, in exchange for our blogging about the course. It's a win-win for everybody, but I definitely think I'm getting the better end of the deal! 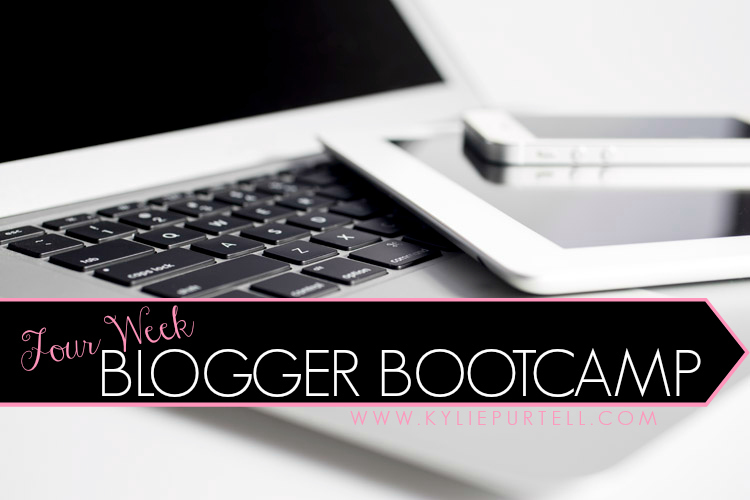 The 4 week blogger bootcamp is being run in a private FB group. Every Monday night for four weeks we will come together online to learn all about Google Analytics and how to use it to help us improve our blogs and work towards our monetisation goals, whatever they might be. For me, that means how to optimise my photography website to get visitors to it, and then turn those visitors in to clients. For the course I'm using this, my personal blog, as a testing ground. Because my photography site is currently just a free WordPress one I don't have analytics installed, whereas I've had analytics on this blog for years. So it's the perfect place for me to work through all of the activities and improve my blog's SEO at the same time. Despite the fact that I've had Google Analytics for years I really had no idea of how powerful it is and all of the things I could do. In just one hour with Dana I've learnt more about analytics, SEO and optimisation than I have in the previous 6 years of blogging put together. I'll be sharing some of what I've learnt over the next 3 weeks, but today I just wanted to introduce you to Dana and the course. If you're looking to optimise your blog/website and leverage it for monetisation, you should definitely get in touch with Dana at Talk About Creative and find out how you can get some of her excellent training. You can find Dana's website (and her blog which has some excellent information on it) here, and you can check out her facebook page here. Do you use Google Analytics for your blog/website/business? Are you as clueless about it as me? Is there anything you'd like to know more about that I could find out for you? Let me know in the comments. As mentioned above, I am participating in the 4 week blogger bootcamp for free, in exchange for blogging about my experiences with the course. I have not been paid to write these posts.